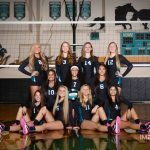 Volleyball Tryouts begin Monday, August 3rd at 7 AM!!!! Make sure you have your physical turned in before then! !